Barack Obama is a fanatical believer in the imperialist capitalist system imposed by the United States on the world. "God bless the United States," he ends his speeches. Some of his acts wounded the sensibility of world opinion, which viewed with sympathy the African-American candidate’s victory over that country’s extreme right-wing candidate. Basing himself on one of the worst economic crises that the world has ever seen, and the pain caused by young Americans who lost their lives or were injured or mutilated in his predecessor’s genocidal wars of conquest, he won the votes of the majority of 50% of Americans who deign to go to the polls in that democratic country. Out of an elemental sense of ethics, Obama should have abstained from accepting the Nobel Peace Prize when he had already decided to send 40,000 soldiers to an absurd war in the heart of Asia. The anti-democratic document imposed at the Copenhagen Summit on the international community – which had given credit to his promise to cooperate in the fight against climate change – was another act that disappointed many people in the world. The United States, the largest issuer of greenhouse gases, was not willing to make the necessary sacrifices, despite the sweet words of its president beforehand. 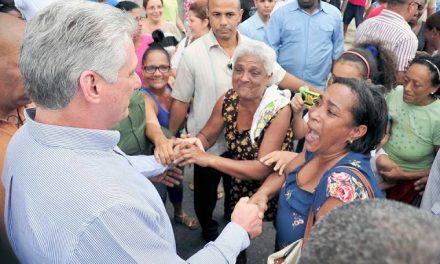 It would be interminable to list the contradictions between the ideas which the Cuban nation has defended at great sacrifice for half a century and the egotistic policies of that colossal empire. In spite of that, we harbor no antagonism toward Obama, much less toward the U.S. people. We believe that the health reform has been an important battle, and a success of his government. 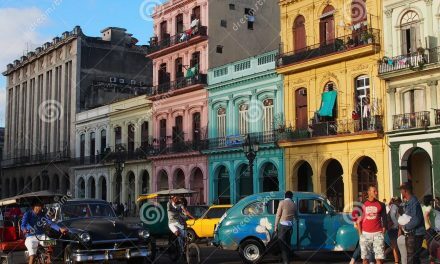 It would seem, however, to be something truly unusual, 234 years after the Declaration of Independence in Philadelphia in 1776, inspired by the ideas of the French Encyclopedists, that the U.S. government has passed [a law for] medical attention for the vast majority of its citizens, something that Cuba achieved for its entire population half a century ago, despite the cruel and inhumane blockade imposed and still in effect by the most powerful country that ever existed. Before that, after almost half a century of independence and after a bloody war, Abraham Lincoln was able to attain legal freedom for slaves. On the other hand, I cannot stop thinking about a world in which more than one-third of the population lacks the medical attention and medicines essential to ensuring its health, a situation that will be aggravated as climate change and water and food scarcity become increasingly greater in a globalized world where the population is growing, forests are disappearing, agricultural land is diminishing, the air is becoming unbreathable, and in which the human species that inhabits it – which emerged less than 200,000 years ago; in other words, 3.5 million years after the first forms of life emerged on the planet – is running a real risk of disappearing as a species. Accepting that health reform signifies a success for the Obama government, the current U.S. president cannot ignore that climate change is a threat to health, and even worse, to the very existence of all the world’s nations, when the increase in temperatures – beyond the critical limits that are in sight – is melting the frozen waters of the glaciers, and the tens of millions of cubic kilometers stored in the enormous ice caps accumulated in the Antarctic, Greenland and Siberia will have melted within a few dozen years, leaving underwater all of the world’s port facilities and the lands where a large part of the global population now lives, feeds itself and works. Obama, the leaders of the free countries and their allies, their scientists and their sophisticated research centers know this; it is impossible for them not to know it. I understand the satisfaction in the presidential speech expressing and recognizing the contributions of the congress members and administration who made possible the miracle of health reform, which strengthens the government’s position vis-Ã -vis the lobbyists and political mercenaries who are limiting the administration’s faculties. It would be worse if those who engaged in torture, assassinations for hire, and genocide should reoccupy the U.S. government. As a person who is unquestionably intelligent and sufficiently well-informed, Obama knows that there is no exaggeration in my words. I hope that the silly remarks he sometimes makes about Cuba are not clouding his intelligence. In the wake of the success in this battle for the right to health of all Americans, 12 million immigrants, in their immense majority Latin American, Haitian and from other Caribbean countries, are demanding the legalization of their presence in the United States, where they do the jobs that are the hardest and with which U.S. society could not do without, in a country in which they are arrested, separated from their families and sent back to their countries. The vast majority of them immigrated to Northern America as a consequence of the dictatorships imposed on the countries of the region by the United States, and the brutal policy to which they have been subjected as a result of the plunder of their resources and unequal trade. Their family remittances constitute a large percentage of the GDP of their economies. They are now hoping for an act of elemental justice. When an Adjustment Act was imposed on the Cuban people, promoting brain drain and the dispossession of its educated young people, why are such brutal methods used against illegal immigrants of Latin American and Caribbean countries? The devastating earthquake that lashed Haiti – the poorest country in Latin America, which has just suffered an unprecedented natural disaster that involved the death of more than 200,000 people – and the terrible economic damage that a similar phenomenon has caused in Chile, are eloquent evidence of the dangers that threaten so-called civilization, and the need for drastic measures that can give the human species hope for survival. The Cold War did not bring any benefits to the world population. The immense economic, technological and scientific power of the United States would not be able to survive the tragedy that is hovering over the planet. President Obama should look for the pertinent data on his computer and converse with his most eminent scientists; he will see how far his country is from being the model for humanity he extols. Because he is an African American, there he suffered the affronts of discrimination, as he relates in his book, The Dreams of My Father; there he knew about the poverty in which tens of millions of Americans live; there he was educated, but there he also enjoyed, as a successful professional, the privileges of the rich middle class, and he ended up idealizing the social system where the economic crisis, the uselessly sacrificed lives of Americans and his unquestionable political talent gave him the electoral victory. Despite that, the most recalcitrant right-wing forces see Obama as an extremist, and are threatening him by continuing to do battle in the Senate to neutralize the effects of the health reform, and openly sabotaging him in various states of the Union, declaring the new law unconstitutional. The problems of our era are far more serious still. The International Monetary Fund, the World Bank and other international credit agencies, under the strict control of the United States, are allowing the large U.S. banks – the creators of fiscal paradises and responsible for the financial chaos on the planet – to be kept afloat by the government of that country in each one of the system’s frequent and growing crises. The U.S. Federal Reserve issues at its whim the convertible currency that pays for the wars of conquest, the profits of the military industrial complex, the military bases distributed throughout the world and the large investments with which transnationals control the economy in many countries in the world. Nixon unilaterally suspended the conversion of the dollar into gold, while the vaults of the banks in New York hold seven thousand tons of gold, something more than 25% of the world’s reserves of this metal, a figure which at the end of World War II stood at more than 80%. It is argued that the [U.S.] public debt exceeds $10 trillion, more than 70% of its GDP, like a burden that will be passed on to the new generations. That is affirmed when, in reality, it is the world economy which is paying for that debt with the huge spending on goods and services that it provides to acquire U.S. dollars, with which the large transnationals of that country have taken over a considerable part of the world’s wealth, and which sustain that nation’s consumer society. Anyone can understand that such a system is unsustainable and why the wealthiest sectors in the United States and its allies in the world defend a system sustained only on ignorance, lies and conditioned reflexes sown in world public opinion via a monopoly of the mass media, including the principal Internet networks. Today, the structure is collapsing in the face of the accelerated advance of climate change and its disastrous consequences, which are placing humanity in an exceptional dilemma. Wars among the powers no longer seem to be the possible solution to major contradictions, as they were until the second half of the 20th century; but, in their turn, they have impinged on the factors that make human survival possible to the extent that they could bring the existence of the current intelligent species inhabiting our planet to a premature end. A few days ago, I expressed my conviction, in the light of dominant scientific knowledge today, that human beings have to solve their problems on planet Earth, given that they will never be able to cover the distance that separates the Sun from the closest star, located four light years distant, a speed that is equivalent to 300,000 kilometers per second – if there should be a planet similar to our beautiful Earth in the vicinity of that sun. The United States is investing fabulous sums to discover if there is water on the planet Mars, and whether some elemental form of life existed or exists there. Nobody knows why, unless it is out of pure scientific curiosity. Millions of species are disappearing at an increasing rate on our planet and its fabulous volumes of water are constantly being poisoned. The new laws of science – based on Einstein’s theories on energy and matter and the Big Boom theory as the origin of the millions of constellations and infinite stars or other hypotheses – have given way to profound changes in fundamental concepts such as space and time, which are occupying theologians’ attention and analyses. One of them, our Brazilian friend Frei Betto, approaches the issue in his book La obra del artista: una vision holÃ­stica del Universe (The Artist’s Work: a Holistic View of the Universe), launched at the last International Book Fair in Havana. Scientific advances in the last 100 years have impacted on traditional approaches that prevailed for thousands of years in the social sciences and even in philosophy and theology. The interest that the most honest thinkers are taking in that new knowledge is notable, but we know absolutely nothing of President Obama’s thinking on the compatibility of consumer societies with science. Meanwhile, it is worthwhile, now and then, to devote time to meditating on those issues. Certainly human beings will not cease to dream and take things with the due serenity and nerves of steel on that account. It is a duty – at least for those who chose the political profession and the noble and essential resolve of a human society of solidarity and justice.